Working at a company named ThinkFun is exactly as one would imagine—we love playing games! This isn’t to say that all we do is play games all day but playing games is a huge part of our culture at work. We play games for research, we play games to test out challenges for our games that haven’t come out yet, and during lunch, we love playing games for fun. Toy companies aren’t the only companies that integrate games into the workplace. Companies are making a shift towards including games in the workplace as well as gamification, “the use of game, loyalty and economic concepts to engage consumers and employees,” and finding that there are many benefits that come with it. In recent years, companies have started using games as a way of teaching on-the-job skills. The CIA is one organization that uses games as part of job training, according to Selena Larson at CNN. 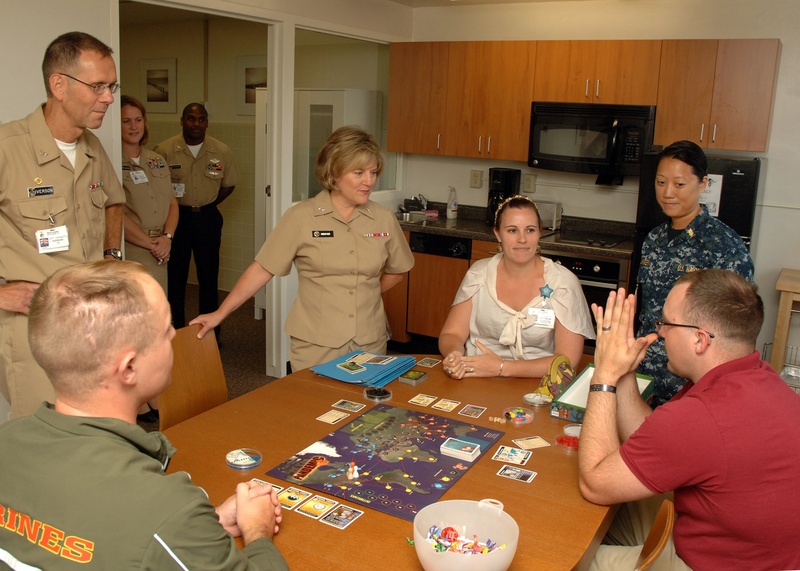 Larson wrote that the CIA has created several tabletop games that teach job skills such as “Collection Deck” which is “a Pokemon-like card game in which each card represents either an intelligence collection strategy or a hurdle like red tape or bureaucracy.” The purpose of this game is “meant to mimic situations analysts might run into in their actual work.” This can be helpful in teaching necessary job skills before sending analysts out into the field. Additionally, Volko Ruhnke, “an intelligence educator at the CIA and a freelance game designer,” has created a game that the CIA might start using internally as part of their training. It is a “commercial board game to simulate the Afghanistan conflict and walk players through military, political, and economic issues in the region.” Having a variety of different games can engage analysts in the learning process and lead to them having a more well-rounded skill set. Employee engagement, in fact, is another reason why companies have begun integrating games into the workplace. A 2015 Gallup poll reported that “the majority (50.8%) of employees were ‘not engaged,’ while another 17.2% were ‘actively disengaged’” with their work. The truth is that only 32 percent of employees are engaged with their jobs, but gamification has helped some companies remedy this issue by turning work into a game and incentivizing employees with a rewards system. Nir Eyal, with Stuart Luman as co-author, wrote that gamification makes traditional work more fun and that gamification “offers immediate signs of achievement and progress.” Rather than employees having to wait to receive their annual reviews, a workplace that is gamified allows for employees to “receive constant updates on their performance as they earn higher rankings and badges that get the attention of colleagues and supervisors.” There are even companies, including Spotify and LivingSocial, that “have already replaced traditional reviews with mobile and gamified versions and have reported that 90% of employees are voluntarily participating in the programs.” This leads to more engaged employees which ultimately results in greater employee productivity. Allowing employees to play games, even games that are not work-related, has proven to destress employees and therefore make them more productive. By taking “micro-breaks” of a couple minutes throughout the day, employees have found they are able to come back to their work with a fresh look and better attitude. A study conducted by Kansas State University, led by Sooyeol Kim, found that “by interacting with friends or family members through a smartphone or by playing a short game, we found that employees can recover from some of their stress to refresh their minds and take a break.” Thus, these employees that could take breaks playing games reported that they were happier and more productive. Alina Dizik at BBC suggested that the best time to play games at work is during periods where employees are less productive. Dizik stated that “gaming might also help with creative thinking and problem solving. Stepping away from a tricky task for a few minutes of gaming might spur a new perspective on a business problem or help to reset your mind during an especially difficult day.” By giving an employee time to take a break from their work, they can return to their work minutes later with a fresher and more energized mind. There are many benefits to integrating games into the workplace and it's just a plus that playing games is a ton of fun! 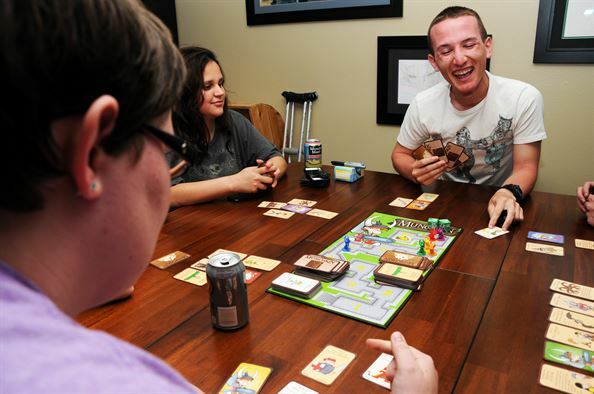 Consider bringing a board game or two to your office and see what your coworkers think. Additionally, if you are stumped on what games to bring, consider checking out the list of games we've included in our "6 Cooperative Games" blog post and "9 Lesser-Known Games" blog post.